Wednesday has quickly become one of my favourite days to read blogs. There is Jivey's Workshop Wednesday linky which I love. 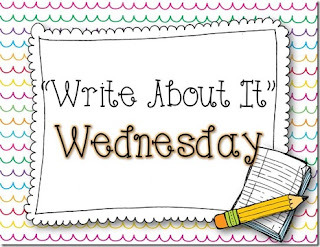 There is also the awesome Write About it Wednesday linky at Across the Hall in 2nd Grade and Second Grade Sparkle which I am joining this week! I love these fabulous ladies ideas. I can't believe the great pictures and freebies that they share and that I gladly steal. So I figured it was time to give back a little. If you have not checked their linky out - you really should! In fact click on the picture to head over there ( in a few minutes though - you are not done here). This week's theme Writing Portfolios. Only I don't actually use Portfolios - we have writing folders and binders. Everyone has a writing folder in their desk (cute little label from the super talented Kristen from Ladybug's Teacher Files - they're free ). Also inside the folder is a personal dictionary and a personal thesaurus. These are free resources I found on-line. Click on the words to grab a copy. The dictionary has room to add words and the thesaurus contains commonly overused words (nice, said, big). 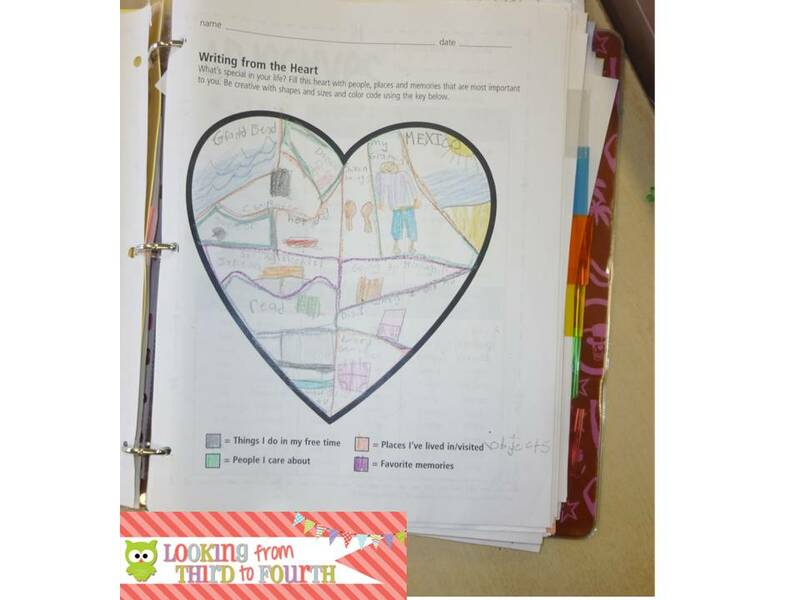 Once our writing is finished (evaluated, taken down from a bulletin board, shared with the class, peer evaluated...whatever) it goes into their writing binder. You can see paper sticking out from the top - the reason for this - this is my third year teaching this student and we have kept all of the writing, so the binder is full! I usually teach my students for two years and like them to keep all of their work so they can see their growth. Inside the binder is this little Table of Contents (click to get a copy - it is for 8Tab Dividers - I ordered mine from Staples Business Depot). 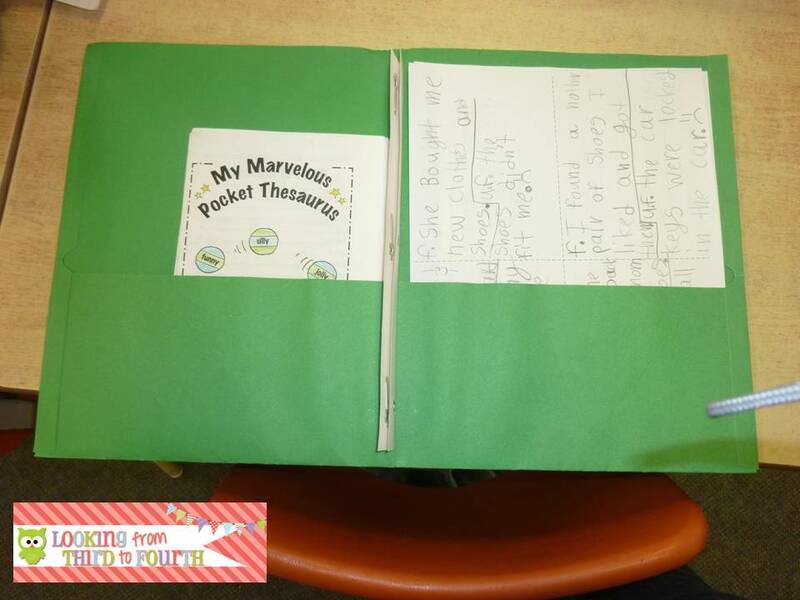 Inside there is a clear pocket for pictures that they bring from home for writing prompts. 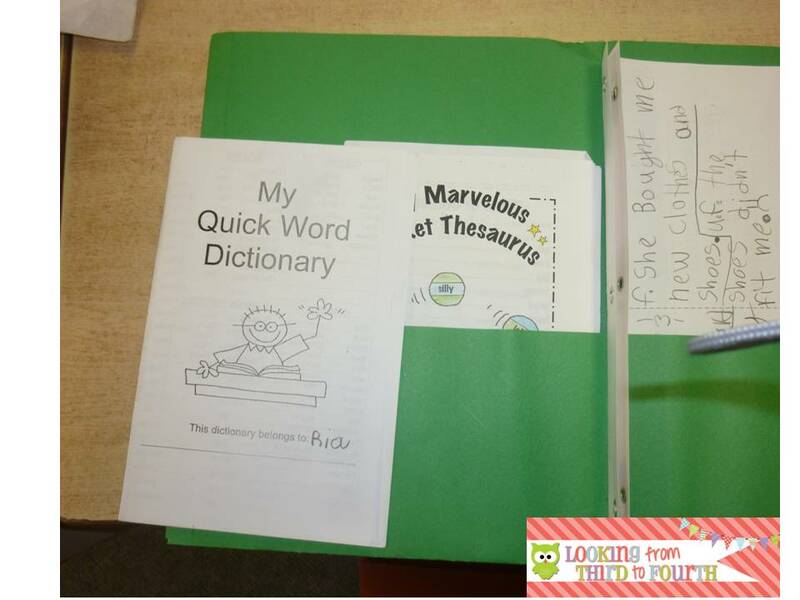 Students are asked to bring in a binder from home (although I am tempted to buy a class set of binders so they are all one colour and I can put really cute labels on them!). 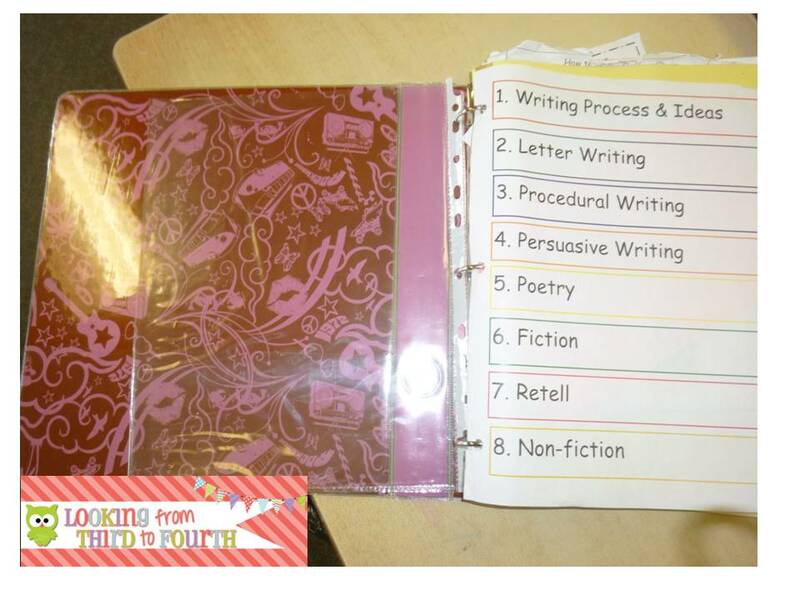 During the 2nd or 3rd week of school we set up our writing binders with the clear pocket, table of contents and dividers (always takes longer than I think it should). 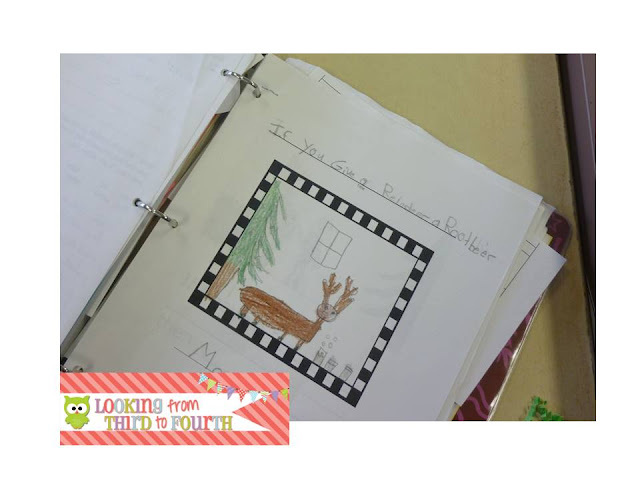 Their first piece of writing to go in is an About the Author page with their picture. The first page in the writing process and ideas section is a checklist for editing ( I have been using COPS). 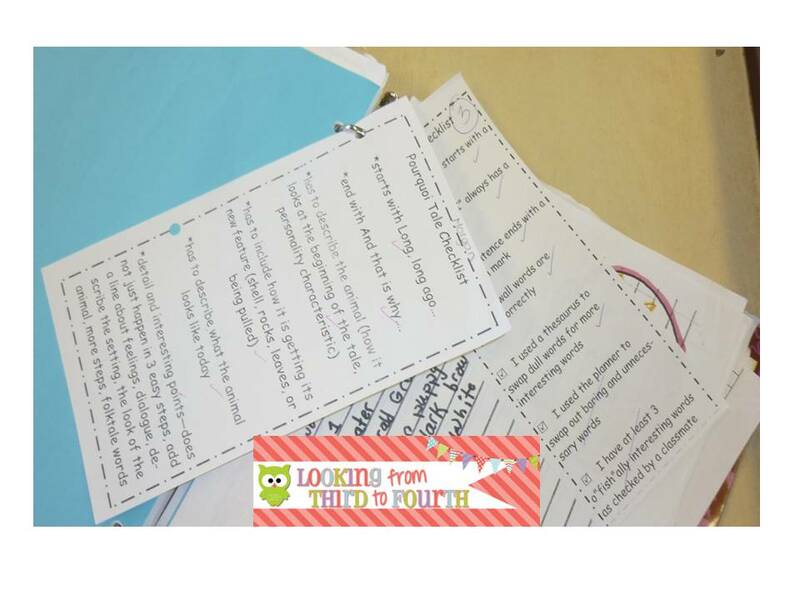 In this section we also keep any word lists that may help our writing (character traits, colour words) and pages that contain - that's right - ideas for future writing. They keep their work organized in their correct section and put their checklists/rubrics/peer evaluation forms with their work. This would be in the fiction section obviously - I love circle story writing! That is how I organize my student's writing - for now. After reading the awesome posts from Kate and Halle I am thinking of changing things up this summer - I'll keep you posted. I'd love to hear how you organize your student's writing so be sure to link up!! I love this! It's perfect! Thank you so much for linking up. 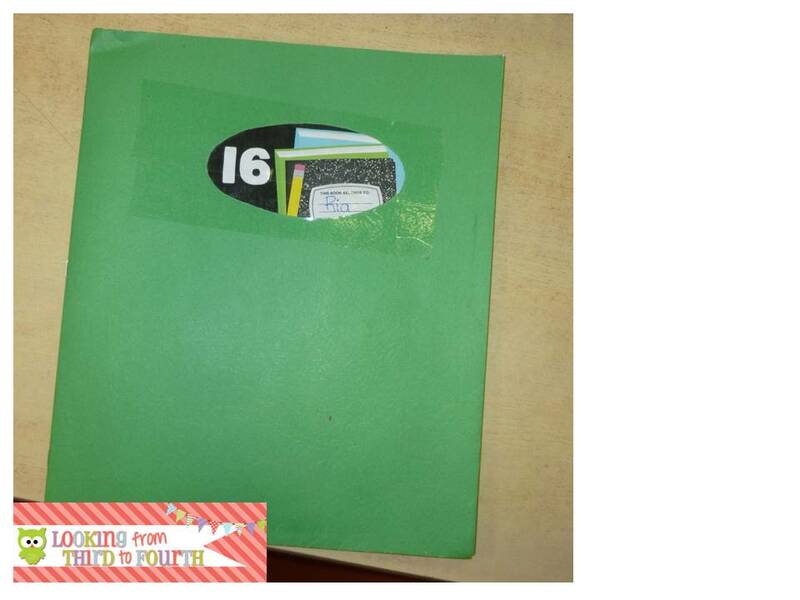 I love how you organize their writing folders. That is something I always switch up and never can find something I love. Binders... folders... I'm always torn. You make it look easy!! Thanks for sharing!! Thanks for sharing. I love the personal dictionary and the thesaurus. I am thinking printing, laminating, coil binding and letting them use dry erase/overhead markers for filling in the blanks. I love the binders. I did get my principal to get me a class set, then I used scrapbook paper to make them all unique and gave them labels. I purchased a shelf and all of them are kept there. It has saved my life this year! Thanks again for sharing! Laminating them and binding them is a great idea! I think I might have to use some of my class budget on binders. Thanks for stopping by my blog. I would love help with my giveaway. I'll give you a shout when I get it all figured out. Love your writing ideas! Thank you so much for sharing this! I am printing the personal dictionary and thesaurus as we speak! I love the way you set up your writing resources- the folder and the binder. I wish I would have thought of that! I'm thinking I may try this setup for the rest of the year (my writing organization is ... let's just say- lacking) and see how it goes! I can see this working really well next year!